Our summer intern, Anna, is with us for 10 weeks, and this week marks her halfway point! Needless to say, we’re a little sad that it’s going by so quickly. To cheer ourselves up, we asked Anna a few questions about herself. Answers below! AC: Where did you grow up? I grew up in Greenville, South Carolina, but moved around a bit (Malaysia, New Mexico) and ended up in Southern California to go to school. AC: How did you get involved with theater? When I was younger, I remember attending rehearsals with my dad. He was very involved in community theatre where we lived in Greenville, SC and was in quite a few shows. The first show I remember was Joseph and the Amazing Technicolor Dreamcoat. He played Reuben and of course had quite the Southern drawl. I was a pretty shy kid so I never really interacted with anyone. I just liked to sit back and watch. Even as a kid, I can recall that my favorite part about live theater was watching all of the pieces come together. For weeks the actors would learn their lines and blocking while the sets were being constructed and the costumes sewn together. Then one day everything magically came together and everyone is singing “Any Dream Will Do”. AC: Tell us a little bit about things you do and adventures you like to take. My kind of adventures include road trips, traveling, cliff jumping, kayaking, thrift shopping, and going to see lots of live theatre like the Hollywood Fringe. My independent nature tends to seek adventure everywhere and there is so much to learn. One of my biggest adventures occurred in Sydney, when I left my university for a year to study theatre there. This experience changed my life and I am so grateful for the opportunity. My current adventure involves writing reviews for the Fringe Festival while working at Antaeus while I figure out what’s next. AC: What’s your background in theatre? I grew up attending community theater rehearsals with my dad and I think the spark just grew from there. I love learning everything there is to know about theatre. 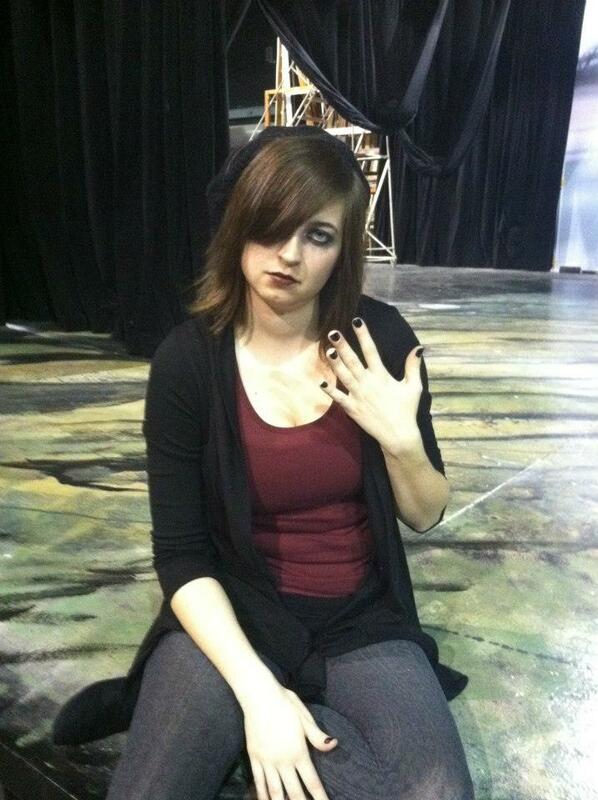 I have experience in stage management, directing, producing design, and acting. I love being challenged to try new things and I see myself as a “filler.” This is a term that I came up with to describe my willingness to do anything that is needed for a successful production, even if that means I have to do outside research and learn a new task. I honestly never thought I could make a career out of theatre, but there are so many opportunities. AC: How did you discover Antaeus? I walked by Antaeus last year while attending a Hollywood Fringe show actually. I was headed towards J.E.T. Studios and saw a crowd of people lined up so I thought this was for the show I was seeing. To my dismay, I was a few doors down from where I was meant to be, but this led to a new discovery. After a bit of research and the recommendation from the Theatre @ Boston Court and my friend Dennis Baker, I decided to apply for their LA Arts County Internship position. AC: Tell us a little bit about what you’re doing at Antaeus this summer. 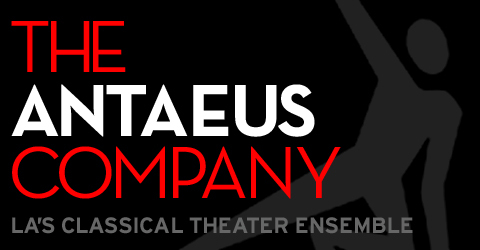 As the production intern at Antaeus, I will be stage managing part two of the season’s Classic Fest as well as some other office and production work. I am looking forward to sitting in on classes and play readings to see how the company’s process works. I have already had the privilege of spying in on a Cross-Gartered Bard class and it’s amazing what happens with Shakespeare does a little gender twist. Their artistic collaboration with classic texts and modern storytelling techniques are very inspirational and enlightening. I am also in love with the company’s library and can’t wait to spend a lot of time in it. AC: How has the internship been going so far? Having to stage manage four productions at once is not the easiest task, but I have enjoyed getting to know so many talented people. There are always things happening at Antaeus, from classes, to readings and rehearsals and it has been fun observing. I have learned a lot about initiating project with fellow enthusiasts in order to get a show up. AC: What is your favorite thing about Antaeus? I have loved watching the process that Antaeus takes to produce projects. It is very much a collaborative and lengthy once, but each show is rooted in the passion of the company. First a play proposal goes through a First Read where the play’s initiator rounds up a group to sit and read the play and discuss it. 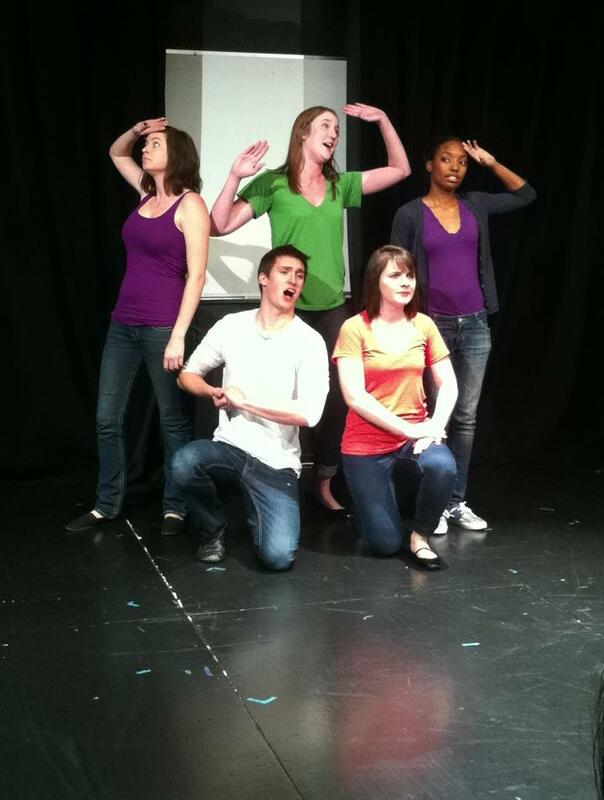 If a project has good reviews it then moves onto ClassicsFest for a staged reading of the show. Each stage allows for a better understanding of the play among the whole company for better or for worse. AC: What is your favorite play, and why? This is a multi-faceted question because there are so many different types of “favorite”. My favorite play that I have performed in was Shakespeare’s The Tempest. This particular production was a devising project that used Shakespeare’s text as a foundation for the show. We incorporated acrobatics, puppetry, original music, but kept the original language and toured to local high schools. I was not the biggest fan of the script at the beginning of the process, but the more we dove into the text, the more I came to love it. I also appreciated the ensemble atmosphere of the rehearsal space and left inspired to create new works. The Children at the Theatre @ Boston Court was the most beautiful production I have ever been a part of. It was so intricately designed. Every technical element pointed to something different in the story, whether it was the car door masking fridge or the storm sound effects reflecting that of a drowning steel object, everything had purpose. I’m not going to lie, even I didn’t understand half of it until about 4 weeks into the show, but I am so glad I was able to be a part of this wonderful team. I was fortunate to attend a Sport for Jove production, Macbeth, while I was in Sydney and that is by far the best production I have ever seen. This company performs site specific theatre all around the city, producing phenomenal works performed by talented actors. This particular production was set during World War II on a farm. The war scenes took place in the farm’s barn and the audience was seated on hay barrels in the middle of the fight! We then followed Macbeth back to his home and sat on his porch listening to the family and neighbors unravel all that happened. I had never been engulfed in story until this show. The Cagebirds by David Campton was my favorite piece to direct. It is a avant-garde piece reflecting what happens when someone questions the majority. I placed the six main women in a locked room with a barred window set in the 50s. Each was obsessed with some womanly chore and planted on a stool. As the women became agitated by new ideas they caused havoc in the room ultimately leading to a murder. I don’t want to be a director that continues to recycle the same show over and over again, but I would love the opportunity to direct it again, especially now that I have more experience. Buried Child by Sam Shepard, Miss Julie by Strindberg and Gross Und Klein by Botho Strauss are also on my favorites list. 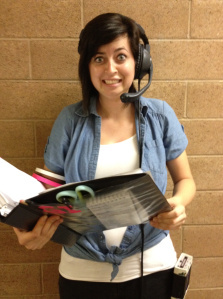 Anna Hodgson is The Antaeus Company’s LA Arts Commission 2013 Summer Intern. 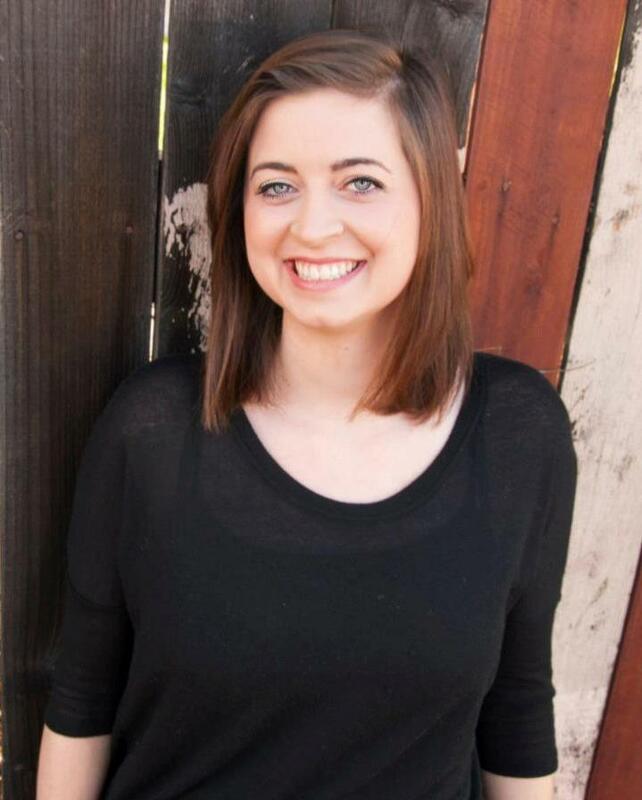 She recently graduated from Azusa Pacific University with a B.A. in Theater Arts.